Eric joined MTB 07 after Tel Tom Duckworth was killed in action on 19th December 1941. 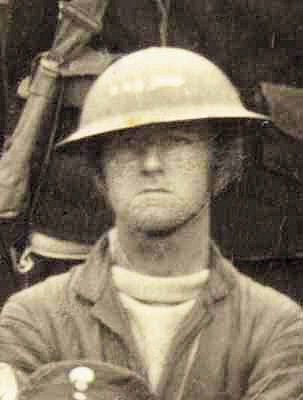 Eric returned to Akyab in Burma on the Heinrich Jessen along with the other Telegraphists with Collingwood and Kennedy. Eric along with eight other ratings remained in Akyab and eventually left Bombay on 14th April and arrived back in the UK 1st June 1942. The remaining nine ratings in Akyab eventually left Bombay on 14th April and arrived back in the UK 1st June1942. 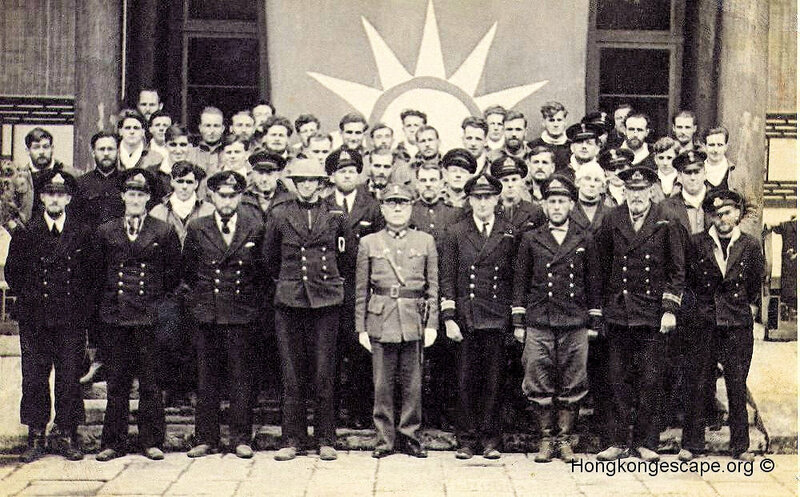 PO Buddy Hide: "On the whole, the moral, spirits, and courage of the party was magnificent. I think it was the shear thoughts of beating the Jap's, and the prospects of getting home after three years, some of us four years from home, that made us carry on." 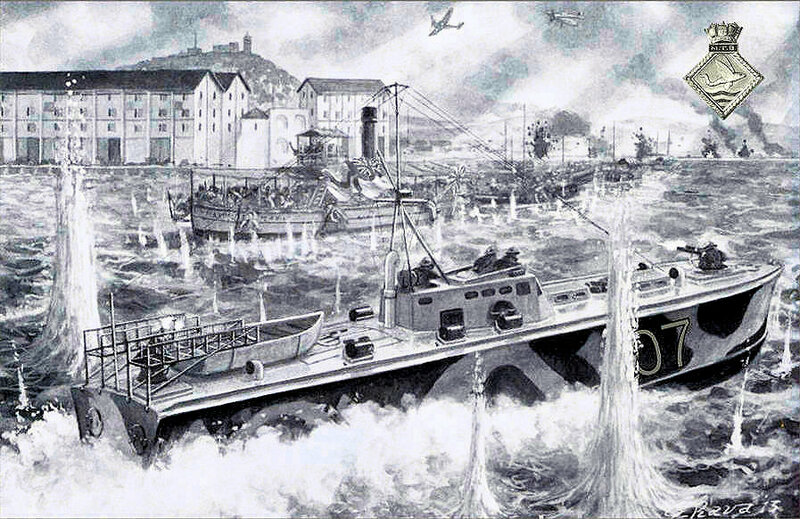 It is unprecedented in the annuls of Royal Navy history, that an entire Flotilla company evaded capture to escape across an entire continent to fight another day. The day before the escape MTB 07 had only managed to take on one hundred and eighty gallons (818 litres) of petrol before being targeted by shell fire. This limited her range to less than one hundred miles (160 Km). The sight of the hillside with its little patches of white held our gaze for some time. No one said much. 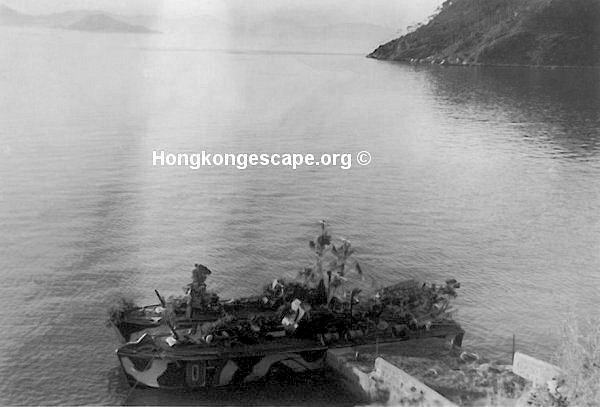 The time was three-fifteen, Hong Kong had fallen." 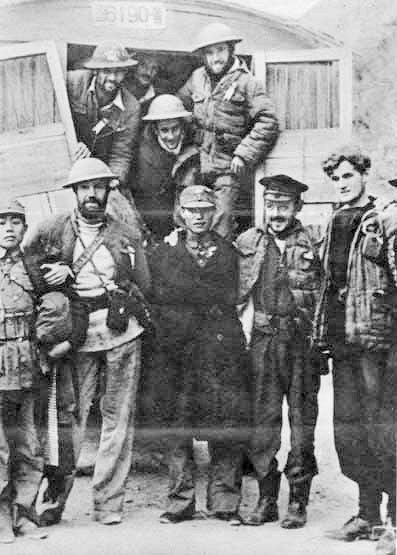 Albert Rutter, Chinese Guerilla Leader Leung Wingyuen with Petty Officer Buddy Hide, Hanging out the truck are Les [Lofty] Gurd, Bill Schillemore, & John Pawley during the epic journey across China. 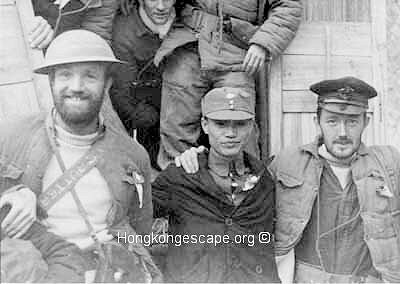 Albert Rutter, Chinese Guerilla Leader Leung Wingyuen with Petty Officer Buddy Hide, & Bones Arnold. Hanging out the truck are Les [Lofty] Gurd, Bill Schillemore, & John Pawley during the epic journey across China. 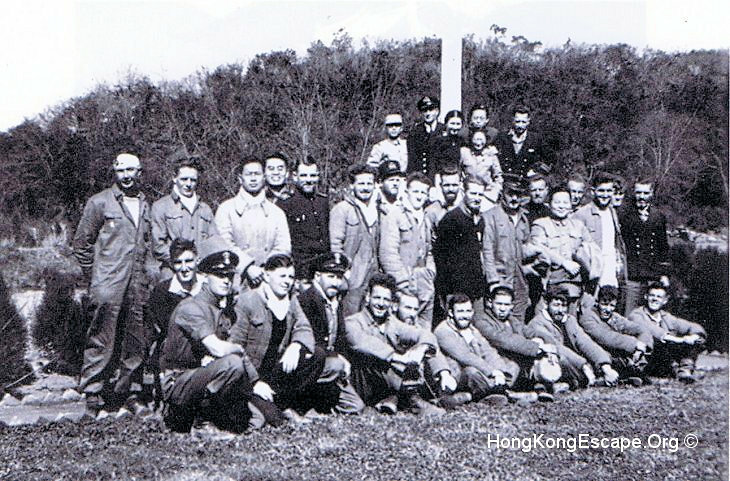 Lt-Cdr Yorath with officers & ratings visiting Huaxi park, Guiyang. Dr Lim organized a seven-a-side football match against his training school team.